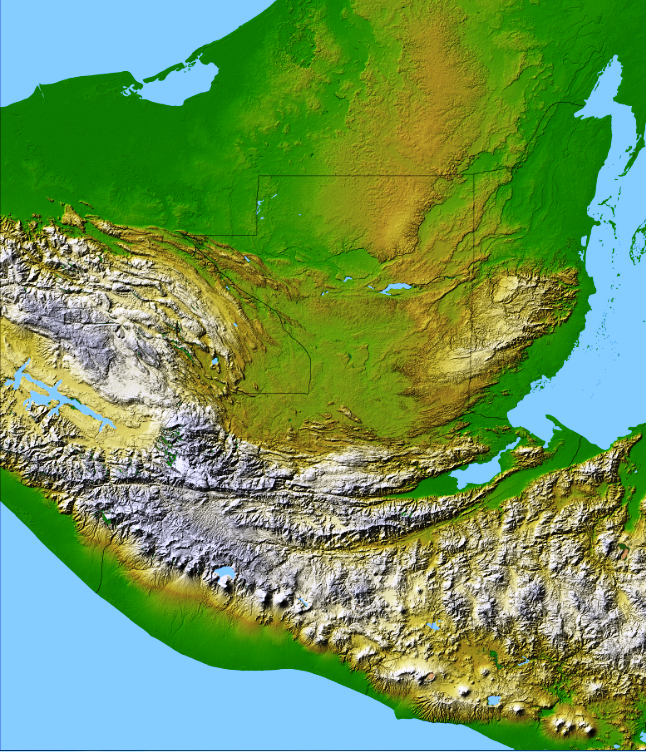 In 2011 when I began this blog, satellite imagery was not as advanced or as widely available as it is today. When I went looking for a natural feature that matched the text's description of the narrow strip of wilderness, my first clue was a faint east - west line of lights that showed up on NASA's image of earth's lights at night. Since settlement follows rivers, that line of small population centers meant a line of streams flowed east - west across Chiapas and Guatemala. With examination, I discovered a line of east - west cliffs with rivers flowing at their bases. I then discovered this line of cliffs was caused by uplift along the boundary between the North American and Caribbean tectonic plates. This tectonic plate boundary is generally called the Polochic Fault and after a few weeks of weighing alternatives that distinctive fault line became my candidate for the narrow strip of wilderness. For much more detail, see the article "The Narrow Strip of Wilderness." In 2016, shaded relief based on precise elevation data derived from satellite remote sensing is getting so good my proposed narrow strip of wilderness practically jumps off the page on many maps. 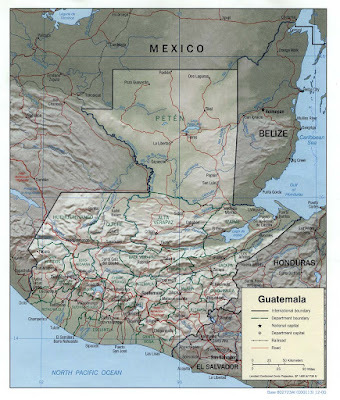 Here is one example - the current CIA map of Guatemala. As with all images on this blog, click to enlarge. 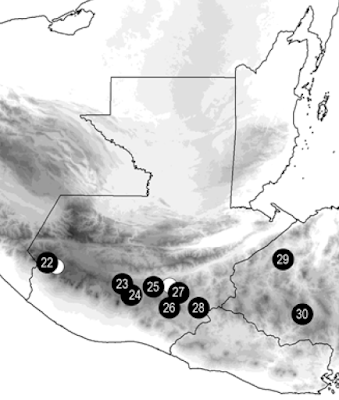 Notice the east - west line running across the middle of the country where the Cuilco, Chixoy, and Polochic Rivers flow. 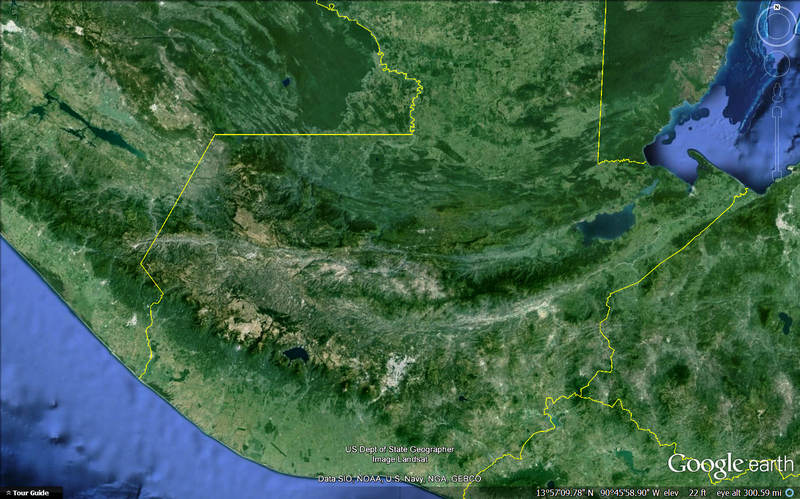 This line also forms the northern shore of Lake Izabal. The towns of Huehuetenango, Sacapulas, Tactic, El Estor, and Livingston are all along this line. 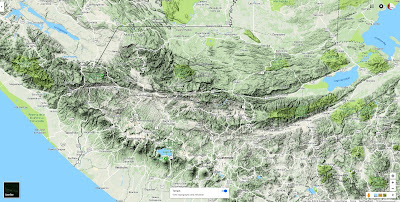 Had a widely published map this good been available to me five years ago, my search for the narrow strip of wilderness would not have taken long. Here is another image of the proposed narrow strip of wilderness showing curvature round about on the Pacific side as per Alma 22:27. And here is a snapshot image from the current version of Google Earth. This is a map of obsidian sources published by Mark Golitko and Gary Feinman of the Field Museum. When a text to map correlation is accurate, future discoveries and better technology will tend to make it even more obvious.